Cruise into history with the only all-inclusive Cuba cruises departing from Miami and Orlando (Port Canaveral). Experience more of Cuba’s vibrant culture with overnight stays in Havana on both short and long duration cruises. Watch the sunset over Havana’s famous esplanade and seawall, El Malecón, or visit the historic Cabaret Tropicana as Cuban culture and rhythm light up the night. ​You will enjoy an all-inclusive experience on board two recently refurbished cruise ships, Norwegian Sky out of Miami and Norwegian Sun out of Port Canaveral. Drink for FREE and raise your glass to the trip of a lifetime with Norwegian. Spend a full day and night in Havana, then enjoy the morning at your leisure before departing for Great Stirrup Cay on board Norwegian Sky, with an all-inclusive onboard experience including unlimited drinks. Departures are available twice a month, now thru August 2019. Norwegian Sky is the largest U.S. cruise ship offering cruises to Cuba. 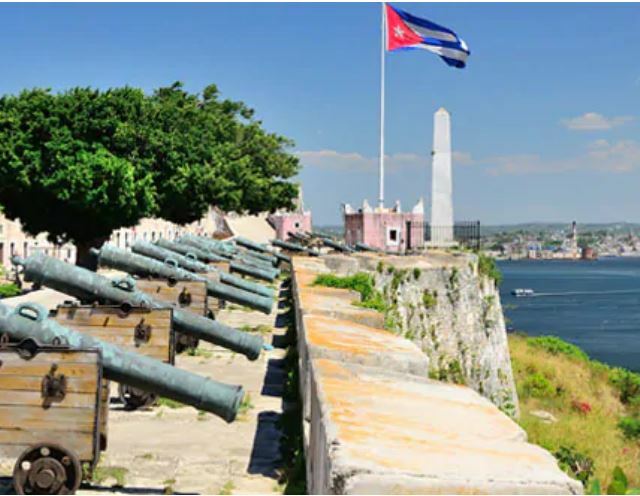 And Norwegian is the only cruise line offering 4-day cruises that also overnight in Havana! Itineraries are also available on the Norwegian Sun from Orlando, stopping at Key West and Havana. Norwegian offers OFAC-compliant cruises and shore excursions. ENJOY OPEN BAR ON NORWEGIAN SKY AND NORWEGIAN SUN: Free Unlimited Beverages, including top-tier liquors. Superb complimentary restaurants with no fixed dining times or pre-arranged seating. Free entertainment to light up the nights. Norwegian Sky and Norwegian Sun offer the most inclusive contemporary cruise vacation at sea! Offer applies to all Sky and Sun cruises 3-5 days in duration. If Cuba is on your must-see list, give us a call!